This time last year, the Safe Road Trains for the Environment (SARTRE) program hit a milestone. 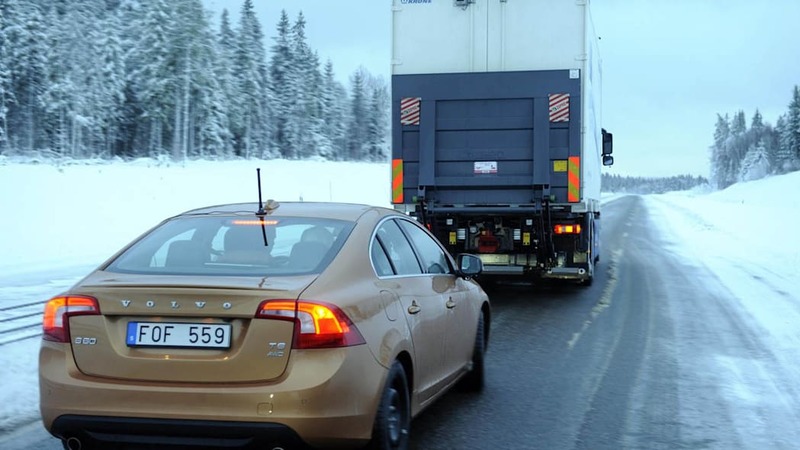 Using a specially equipped Volvo S60 with a big-rig taking the lead, the EU-funded researchers managed to create the world's first fully-functional road train, allowing the driver in the sedan to sit back and enjoy the ride without touching the controls. 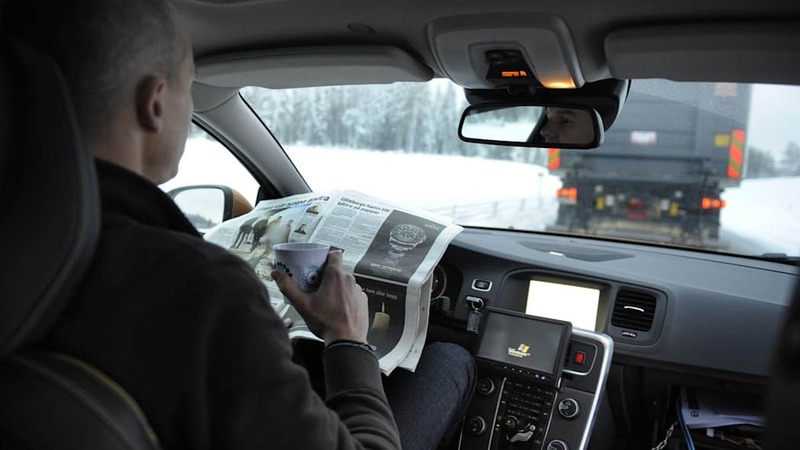 Today, Volvo – the program's only automotive partner – has announced that the SARTRE program is in its final phase of testing, and that includes adding a few more vehicles to the rolling procession of autonomous cars. Utilizing a combination of cameras and radar-based sensors, the vehicles in the platoon can travel up to 55 miles per hour while maintaining a 20-foot gap between each other. 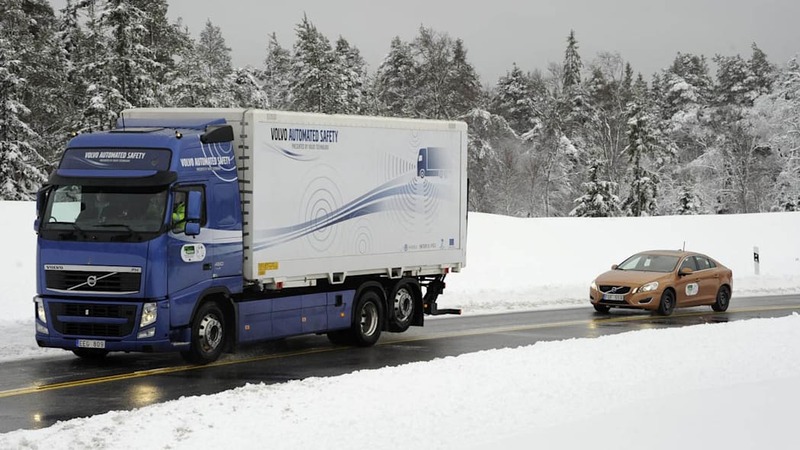 An electronics-packed truck takes the lead and handles driving for all the vehicles in the group, meaning there's still at least one driver in control. 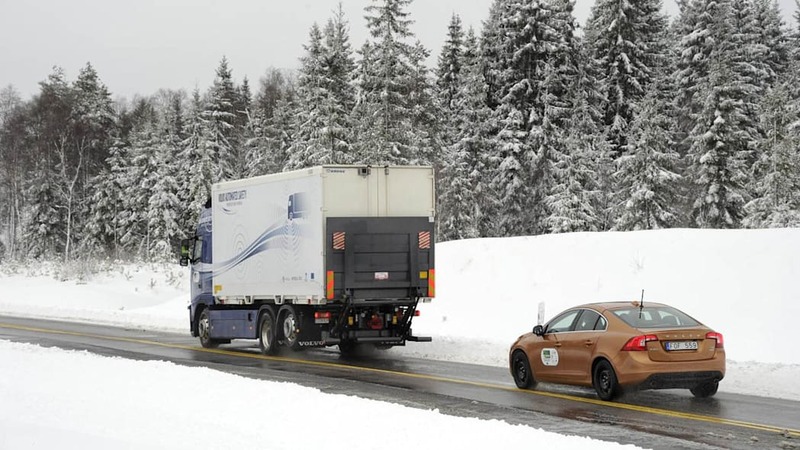 By the end of this year, the SARTRE team hopes to have up to six vehicles rolling in line, with the potential to reduce fuel consumption, congestion and – naturally – driver error in the future. So when's it coming to market? 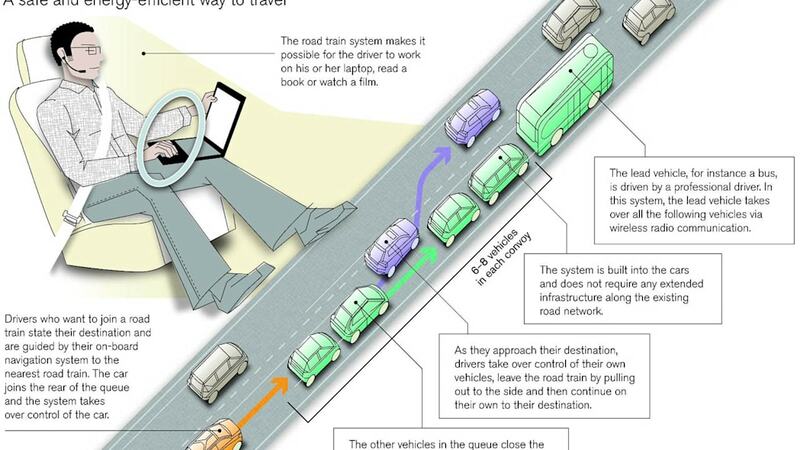 That's up to automakers, governments and the rest of us to decide, so we're still quite a ways out. Make the jump for more details and to see the system in action. 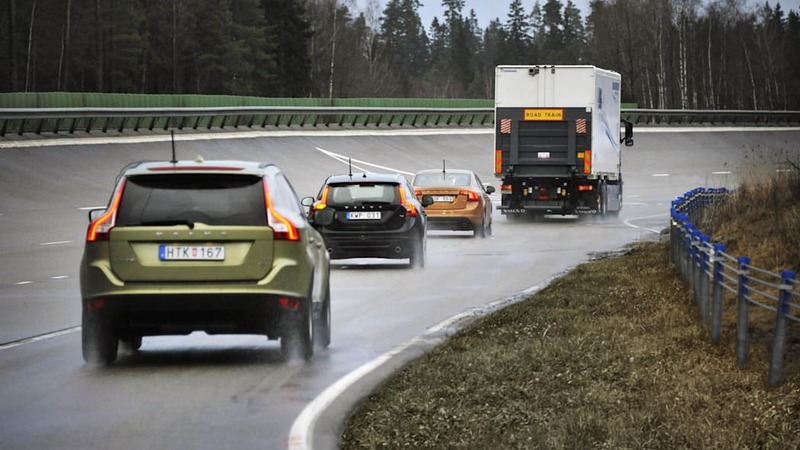 The SARTRE project (Safe Road Trains for the Environment) - with Volvo Car Corporation as the only participating car manufacturer - has successfully completed the first test demonstrations of a multiple vehicle platoon. 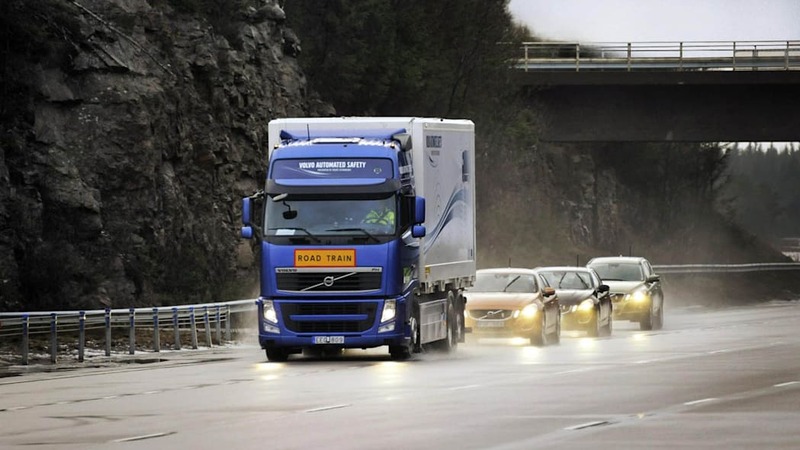 The test fleet included a lead truck followed by three cars driven entirely autonomously at speeds of up to 90 km/h - with no more than 6 metres gap between the vehicles. "The aim is for the entire road train to be completed in autumn 2012. 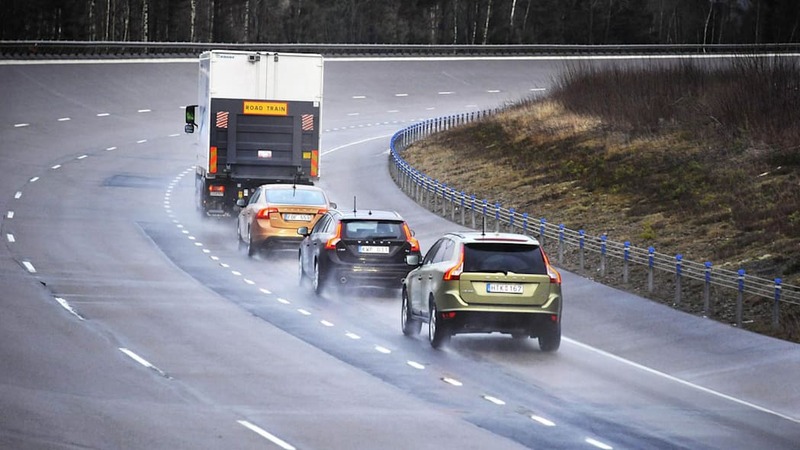 By then we will have four vehicles after one lead vehicle driving at 90 km/h," says Erik Coelingh, technical project manager at the Volvo Car Corporation. 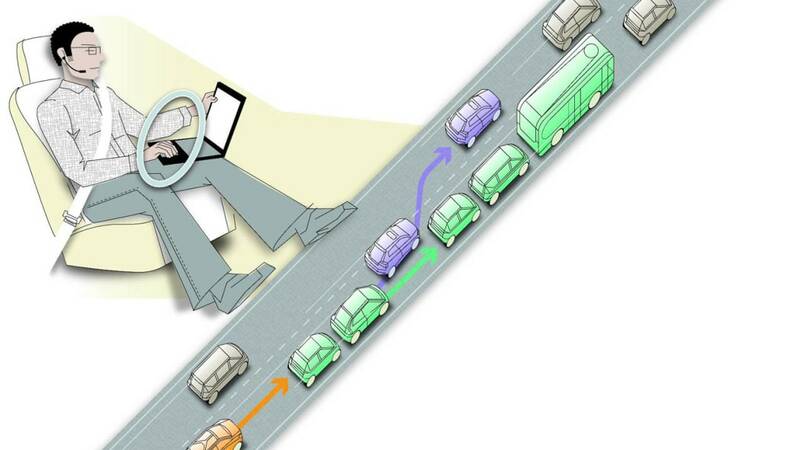 Recognising that the challenge of implementing road train technology on Europe's highways is not solely a technical matter, SARTRE also includes a major study to identify what infrastructure changes will be needed for vehicle platooning to become a reality. A number of stakeholder discussions will therefore be held. The participants in the first discussion included technical experts, politicians, legislators and traffic safety researchers. 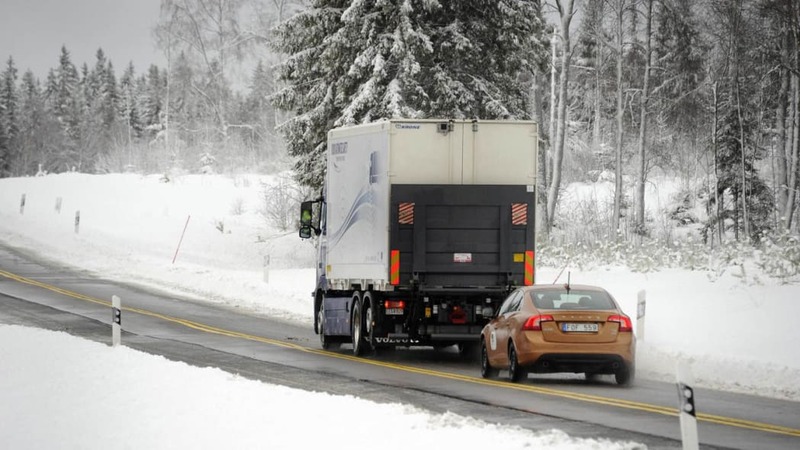 At the workshop a number of non-technical challenges for road trains were discussed, such as legal regulations, product liability and driver acceptance of automated vehicles. 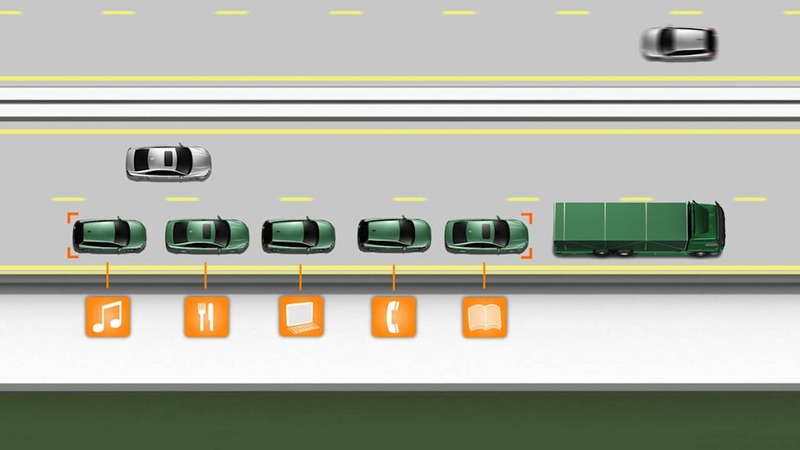 Key future requirements identified were the need to agree a common terminology for platooning, such as criteria for defining when a vehicle becomes fully, as opposed to partially or even highly automated, and the need to address multiple and varied national regulatory law or to harmonise regulatory law. The main advantage of road trains is that the car driver has time over to do other things. 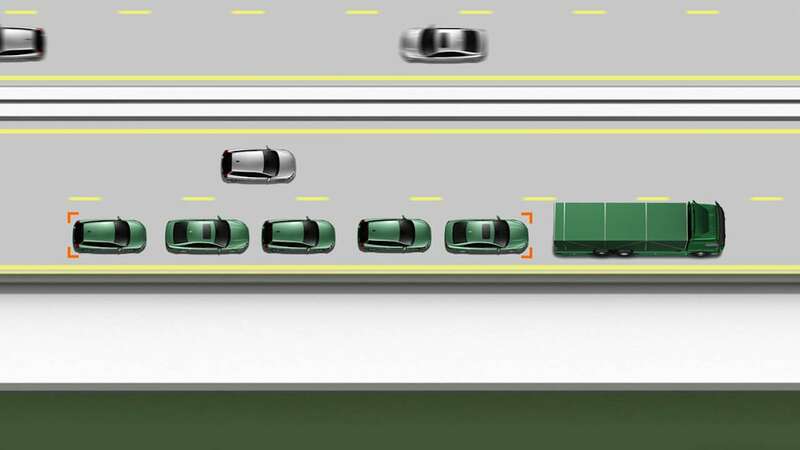 Road trains promote safer transport since the vehicle platoons are led by a professional driver in e.g. a truck and inter-vehicle reaction response times are much quicker. 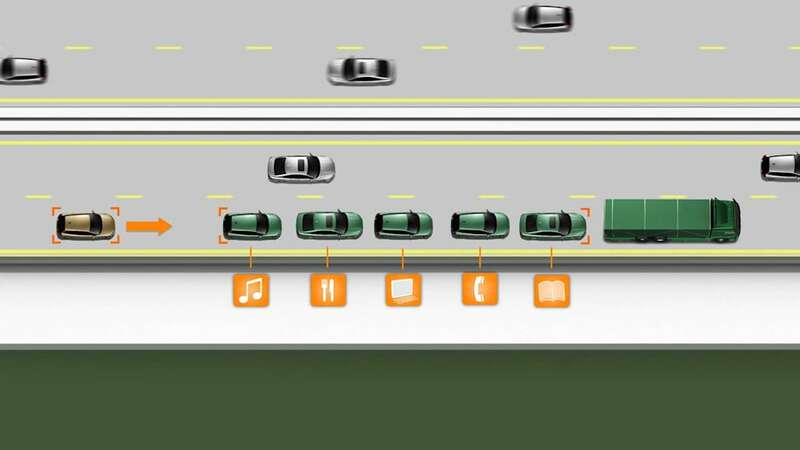 Environmental impact is reduced since the cars follow close behind each other and benefit from the lower air drag. The energy saving is expected to be in the region of up to 20 percent. 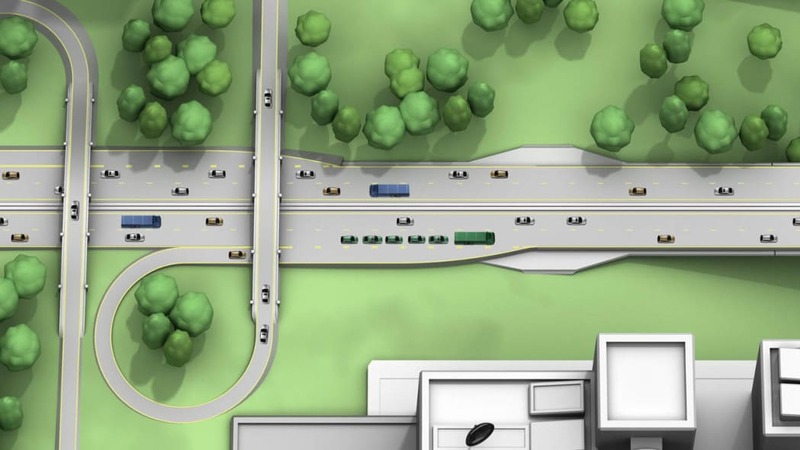 Road capacity will also be able to be utilised more efficiently. 4. 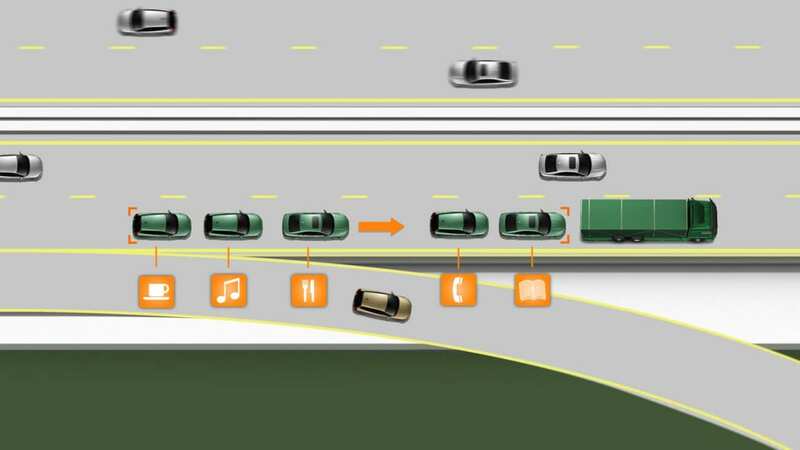 To illustrate how a new business model can be used to encourage the use of platoons with benefits to both lead vehicle operators and to platoon subscribers. Ricardo plc is a leading independent technology provider and strategic consultant to the world's transportation sector and clean energy industries. The company's engineering expertise ranges from vehicle systems integration, controls, electronics and software development, to the latest driveline and transmission systems and gasoline, diesel, hybrid and fuel cell power train technologies, as well as wind energy and tidal power systems. A public company listed on the London Stock Exchange, Ricardo plc posted sales of £162.8 million in financial year 2010. Ricardo is participating in the SARTRE project through its UK business, Ricardo UK Ltd.
For more information, visit http://www.ricardo.com/. Volvo Technology Corporation is a Business Unit of the Volvo Group, which is one of the world's leading manufacturers of commercial transport solutions providing products such as trucks, buses, construction equipment, drive systems for marine and industrial applications as well as aircraft engine components. Founded in 1927, Volvo today has about 100,000 employees, production in 19 countries and operates on more than 180 markets. Volvo Technology Corporation is an innovation company that on contract basis invents researches, develops and integrates new product and business concepts and technology for hard as well as soft products within the transport and vehicle industry. 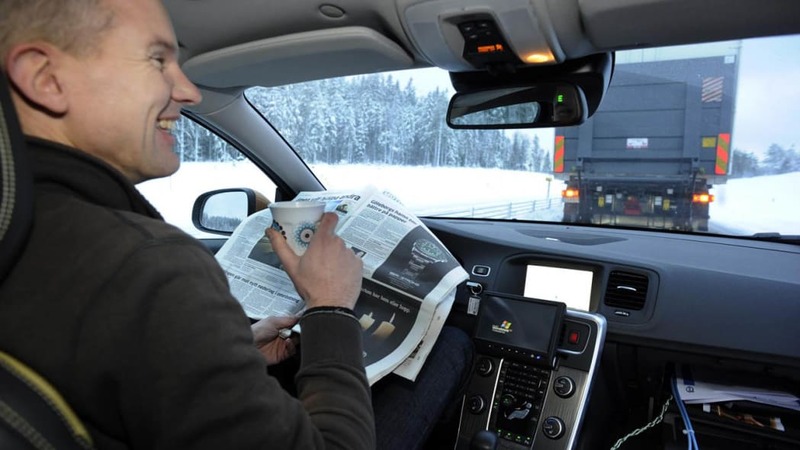 Volvo Technology's primary customers are the Volvo Group Business Areas & Units. 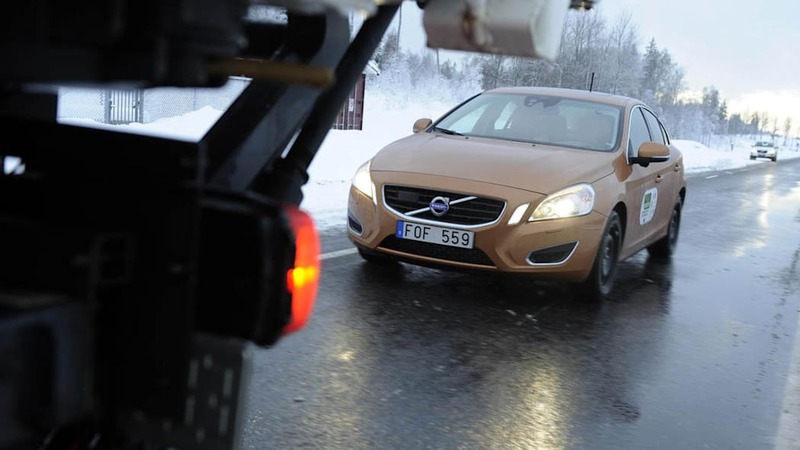 In addition, Volvo Technology participates in national and international projects in certain strategic areas, organised in common research programmes. For more information see http://www.tech.volvo.com/. Applus+ IDIADA, as a global partner to the automotive industry, provides complete solutions for automotive development projects worldwide. Applus+ IDIADA's Technical Centre is located 70 km south of Barcelona (Spain), having subsidiaries and branch offices in 19 European, Asian and American countries with a total work force of around 1300 employees. The core services Applus+ IDIADA provides are: Engineering, Proving Ground and Homologation. Main fields of engineering activity are power train, emissions, noise & vibration, vehicle dynamics, braking systems, fatigue & durability and passive safety. Applus+ IDIADA's proving ground is recognised as one of the best facilities in the world, and is renowned for the quality of its costumer service. As a multi-user facility, safety and confidentiality are of the highest priority. Weather conditions make this facility the first choice regardless of the type of testing.